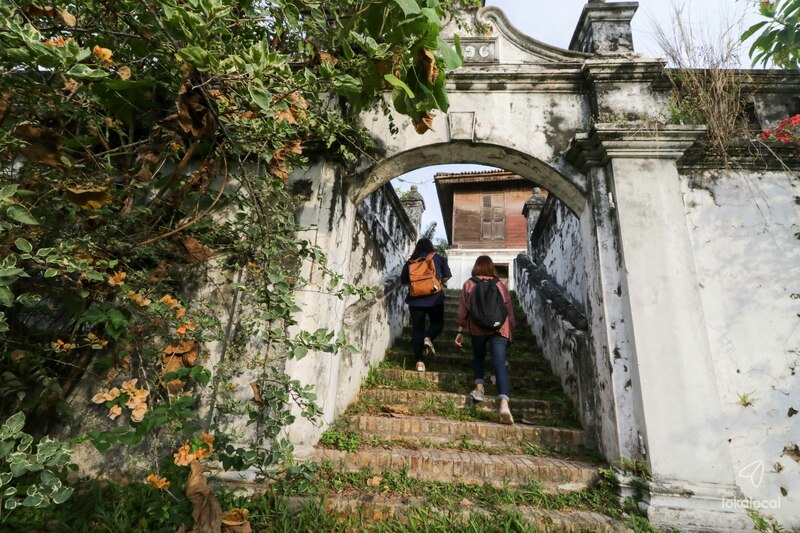 Get off the beaten road, come discover the 3 forgotten towns of Ipoh, Perak: the century-old mining town of Papan, foodie heaven of Menglembu, and kacang putih village of Buntong. Start the day at Menglembu and have a chat with your guide over delicious dim sum. After breakfast, head to Bukit Kledang for a breathtaking view of the mining lake, a legacy of Ipoh's historical past. We will then visit Papan, a small town at the foot of Kledang where resistance fighters against the Japanese once hid. Explore its pre-war buildings and old water tank, including a shophouse that belonged to local heroine Sybil Kathigasu. For lunch, enjoy local delights like fish ball noodles, chee cheong fun and roasted duck. After that, we will move to Kampung Kacang Putih, a settlement in Buntong known for its lentils, nuts and snacks. You can even get some kacang putih as souvenirs. We will also pass by a field where the locals grow beansprouts, which you can find in Ipoh's famous bean spouts chicken. Have a small meal in the old town before we end our trip to Ipoh's forgotten towns, and bring home fond memories of this relatively undiscovered heritage. Take a trip to Papan, Menglembu and Buntong, three towns with more than meets the eye in Ipoh. Your itinerary and lunch options can be flexible and may differ depending on your time of arrival and weather, please share your arrival time to me. Papan was a mining town in the late 19th century. During this time, there was the Papan Riot on 29 November 1887, which took place due to conflict between the Ghee Hin and Hai San secret societies. It is also the home of Sybil Kathigasu, a war-time heroine who became the only woman in Malaya to receive the George Medal for Gallantry in 1948. Located at the foothills of Bukit Kledang, Menglembu is one of the oldest towns in Ipoh. You can find many shophouses that were in 1906, before the pre-World War era. It was mostly populated by Hakka Chinese who worked in the tin mines. Buntong is a town located 15 minutes from the old town. It is known for its bean sprouts, as well as Kampung Kacang Putih, home to the makers of local lentils, nuts and snacks. Many families here are in the kacang business, which turned it into the heart of the kacang putih industry in Malaysia. Ah Yan gave us a different view to Thaipusam festival event , thanks for the arrangement.